I would agree with Karl Lagerfield, the creative director for the Chanel House that you can look cute for less. I myself am a big fan of t-shirts with jeans. Now Target actually has these chic red jeans for just $22.99. They are pictured here. 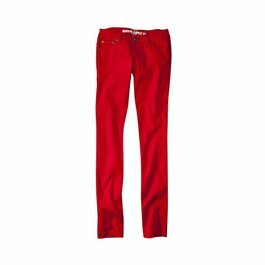 These jeans can be purchases at this link..http://www.target.com/c/women-clothing-jeans/-/N-5xtc8#?lnk=nav_t_spc_1_inc_2_5. 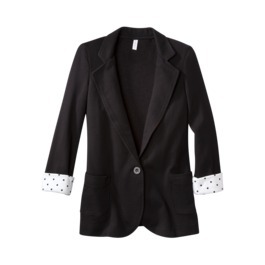 Along with these jeans target also has a cute black blazer that would compliment these jeans for just $29.99.